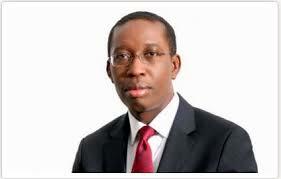 Delta Council Vice Chairmen Drum Support For Okowa. Warri – The Forum of Local Government Council Vice Chairmen of Delta State has thrown their weight behind the re-election bid of the Governor of Delta State, Dr Ifeanyi Okowa, urging all Deltans to support the governor to fully implement the SMART agenda for the prosperity of the people, noting that the Council Vice Chairmen were seeing the governor’s election as their very own and would do everything within their powers to ensure Okowa was re-elected in 2019. Speaking shortly after a meeting of the Forum on Thursday at Otu-Jeremi, Headquarters of Ughelli South Local Government Council, Coordinator of the group, Hon Uche Esenwa noted that the coming general election belongs to the elected council officials as they are aware of the threat by any new government to dissolve the councils and that the Chairmen and Vice Chairmen will work hard to deliver Okowa in 2019. Esenwa, who is Vice Chairman of Oshimili North Local Government Council, disclosed that the Vice Chairmen was setting up a committee to work with relevant campaign organs of the state governor to ensure full participation of the Vice Chairmen in the re-election bid of the governor adding that Okowa has performed creditably well to deserve a second term in office.